“213 years of history and memories to last a lifetime”. 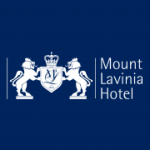 So say travel critiques from around the world who has experienced the mystical wonders of the Mount Lavinia Hotel. A British Governor’s residence forms the nucleus of the hotel which has expanded in size and style to the sprawling colonial palace it is today. 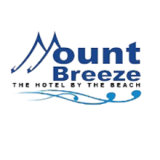 The extensive beach frontage, a terrace offering a stunning panorama of the Colombo skyline, a spectacular view of the ocean, and an incredible atmosphere are perhaps some of the reasons why it holds a special place in the heart of such a diverse clientele. Here is your opportunity to not only be a part of this gallant history, but to also fashion its future. Completed G.C.E Advanced Level Examination or a Professional Qualification in the Hospitality Industry. Minimum 2 years of experience in a similar capacity. A positive “can do” attitude and flexibility to adapt to extreme situations. An attractive salary and perquisites are on offer for the selected candidate. 100, Hotel Road, Mount Lavinia.